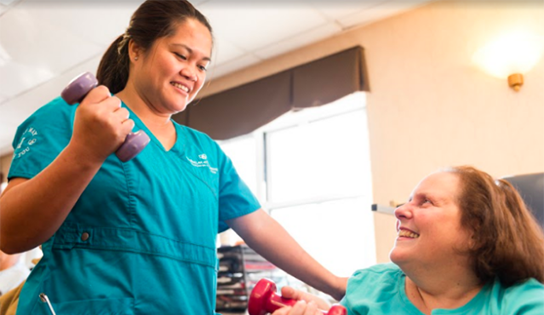 As part of the CareRite Centers Network, we aim to provide a total, immersive rehabilitation experience that renews and reinvigorates the body and soul. Our rehabilitation programs significantly enrich the health and well-being of our patients by delivering specialized therapies to get our patients rapidly back on their feet. With progressive rehabilitation delivered daily by our expert rehabilitation professionals, every individual sees demonstrable results in a quick time-frame. Family members are always included in the process, and can monitor the progress of their loved ones in real-time.